Do you find yourself looking at the clock, realizing that it’s already 5 pm and you haven’t even thought about what’s for dinner? Have you ever stood in front of the fridge just staring, waiting for inspiration to strike? How many times have you started making a recipe to find out that you don’t have all the ingredients? Are you tired of wandering through the grocery store, aimlessly, not sure what to buy? Do you go to the store multiple times a week because you don’t have everything you need at home? 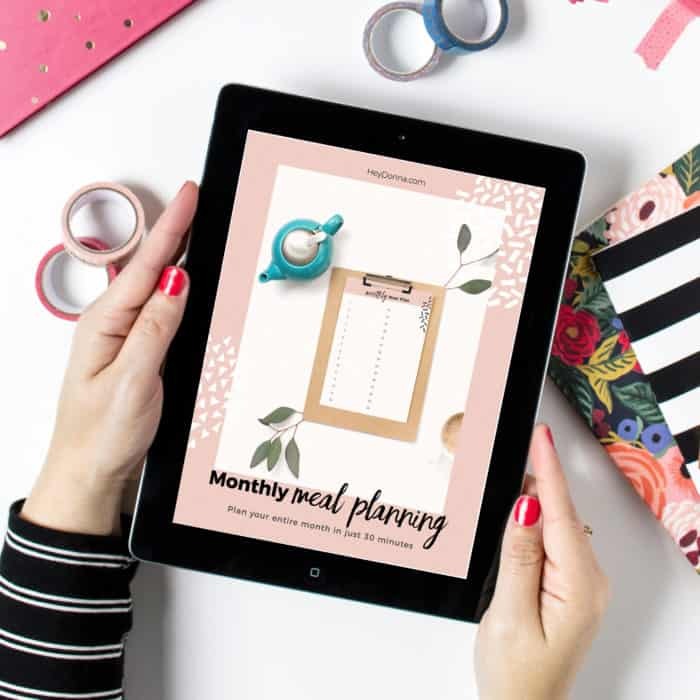 Monthly Meal Planning is the answer! Instructions to help you get started without feeling overwhelmed. Tips to simplify the process. 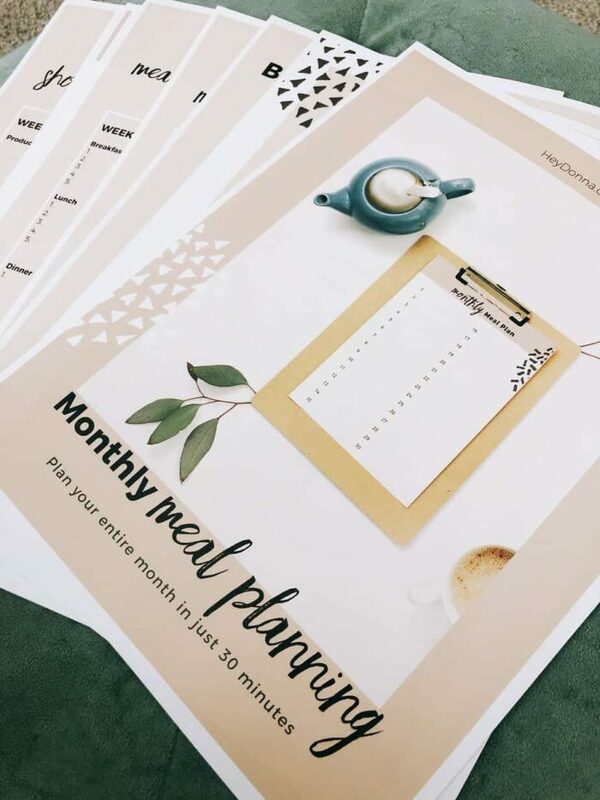 Printable forms to help you get organized and make monthly meal planning easy! 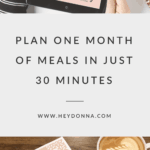 30 minutes of planning each month can save lots of time and frustration! Instead of spending time digging through the freezer, wandering the grocery store and hunting through your cookbooks, you will already have a plan in place. You’ll take less trips to the grocery store, picking up most of your groceries in just one trip each month. 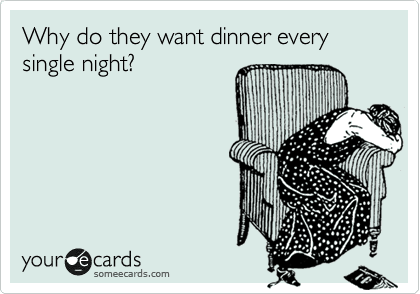 No more running to the closest fast food place because you don’t know what to make for dinner. When you get to the end of a busy day you can feel reassured knowing that you have a plan in place and all of the ingredients are already in the house. How much money could you save if you stopped making those expensive trips to Mc Dinner’s? It adds up quick! The typical American spends about $3,000 on fast food annually (for 2.5 people). That breaks down to $250 a month and roughly $31.25 spent per meal! 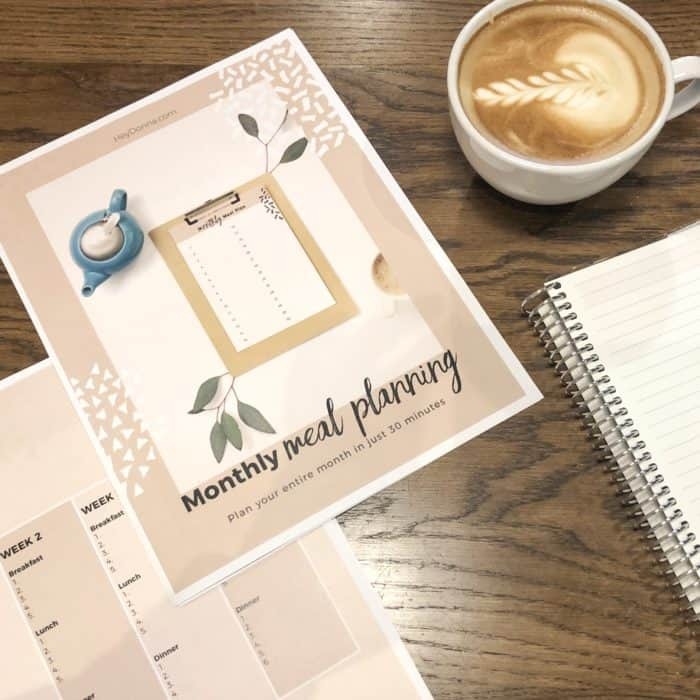 Taking the time to create a meal plan is a life-saver! Because you have a plan in place, most of the stress you’ve been having will be gone! You will relax more, knowing that you have meals planned and ingredients purchased. Instead of feeling anxious each night, you will feel confident and prepared. 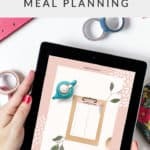 I’ve spent years creating monthly meal plans and it has been a huge help! Are you ready to feel in control instead of anxious when it’s time to make dinner? You will receive an email with a link to download this digital product. This is a PDF file. This is not a printed book that will be sent to you in the mail.